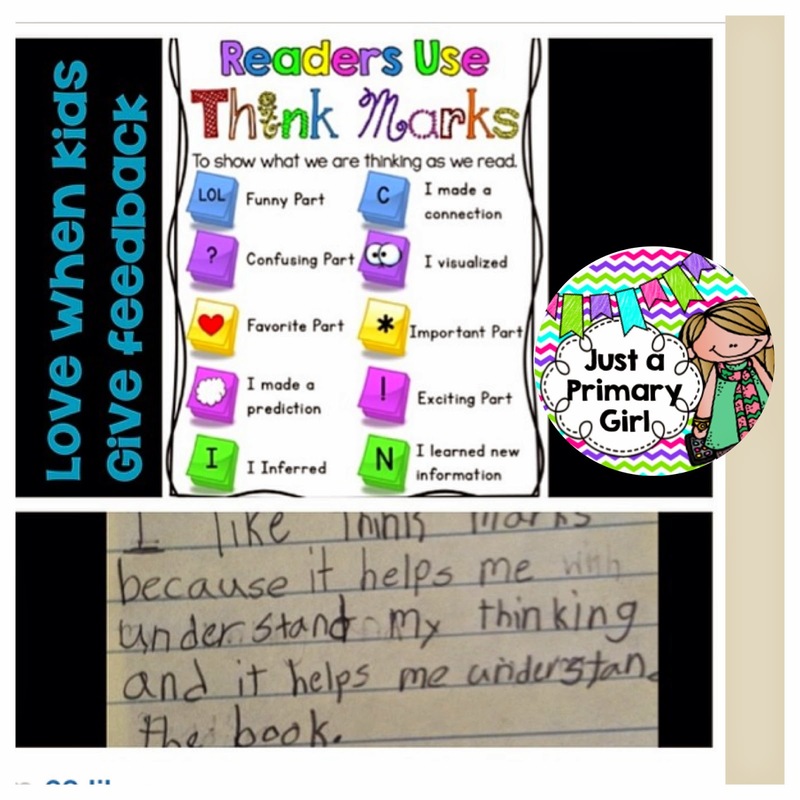 I was stalking Instagram and was talking to a few friends that are NOT common core. (I am not, so it is really hard to find materials that I can use) Many people make them seasonal, and that is great if you are a common core state, but if you are in VA, no such luck. So anyway, most of the things I make are general so that I can use them no matter what. 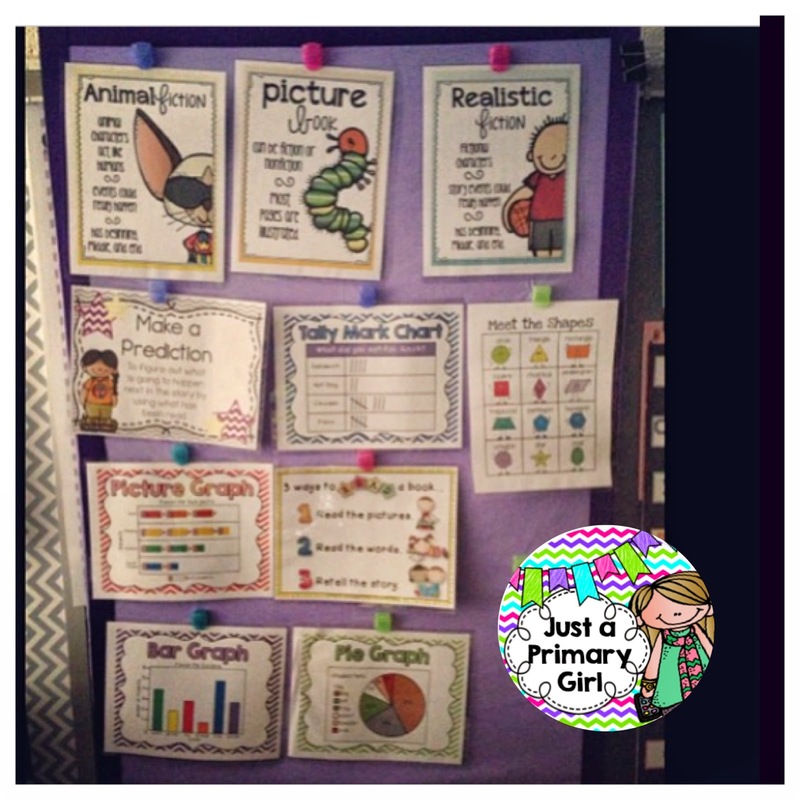 I use a focus wall throughout the year during my morning meeting. My students love it because when I ask questions from something from a month ago, they know they can usually find the answer on the focus wall. It gives them a sense of ownership and confidence that is quite helpful. It is funny when I switch them, because you will see them scanning the board for something that I took down. Usually though, they remember it. It is really exciting to see! 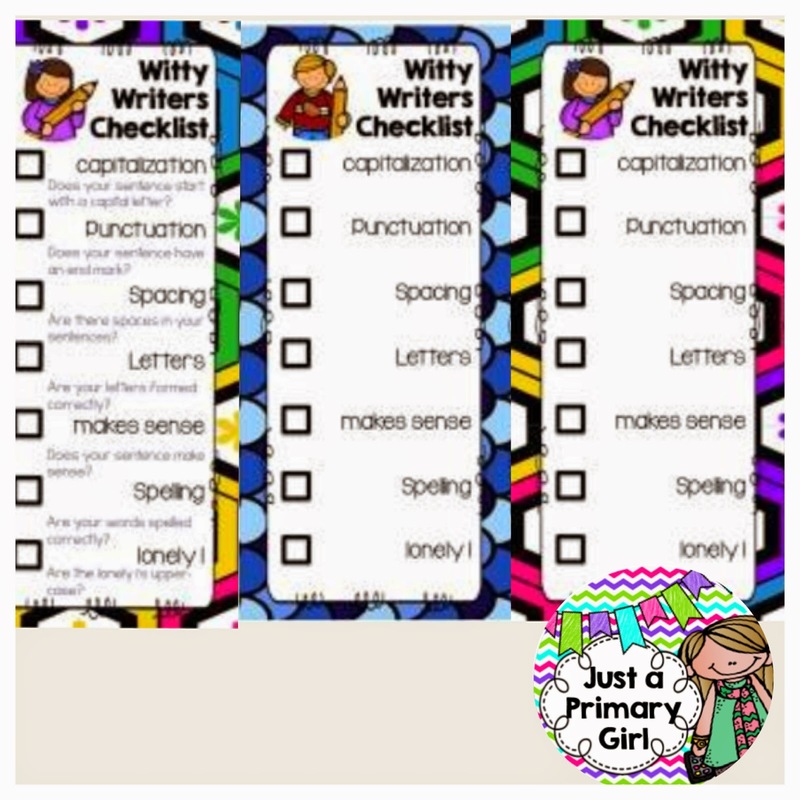 These are anchor charts or posters that I put up and rotate depending on when I teach them. 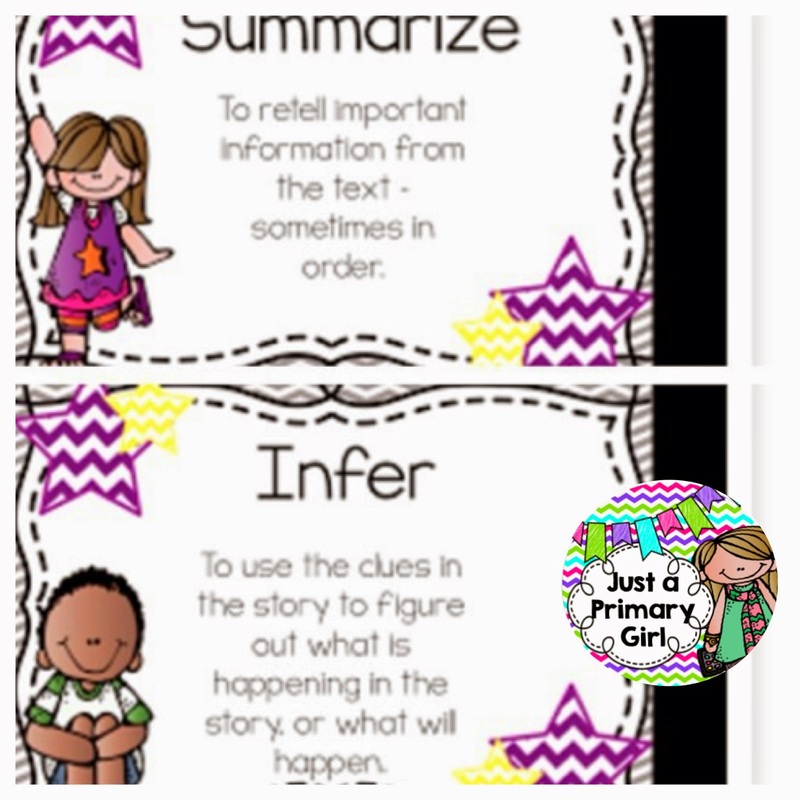 We review a quick five minutes so kids don't forget during the year. The Tattooed Teacher Blog made the types of text posters. This one, is up all year round. I let the kids do it when they want and during snack they can talk to me or a friend about their thinking. We do this as a monthly lesson, but continue to focus on it. 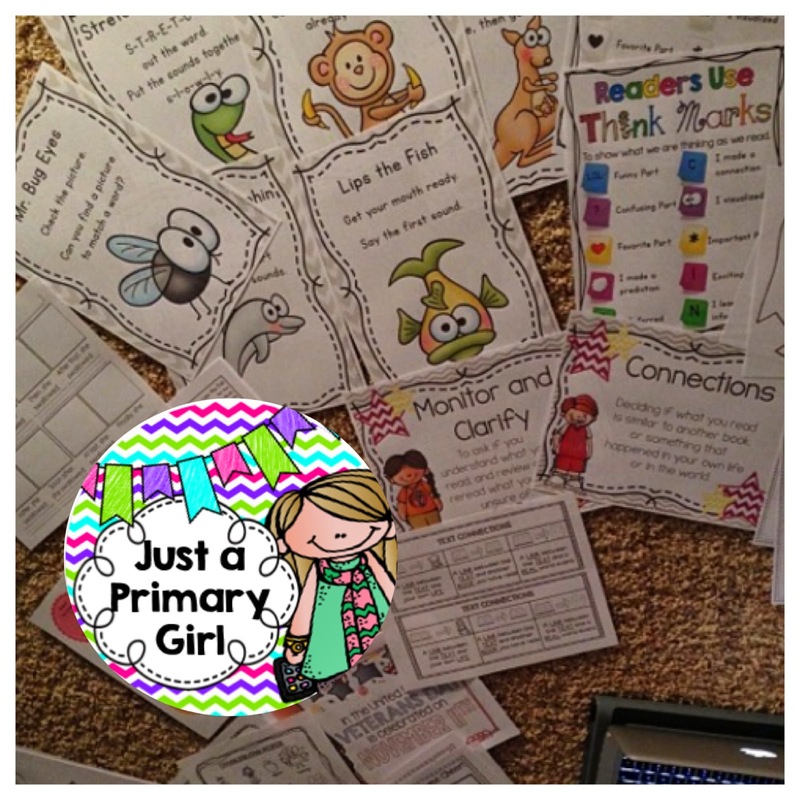 Click on the picture above for the link to my freebie! 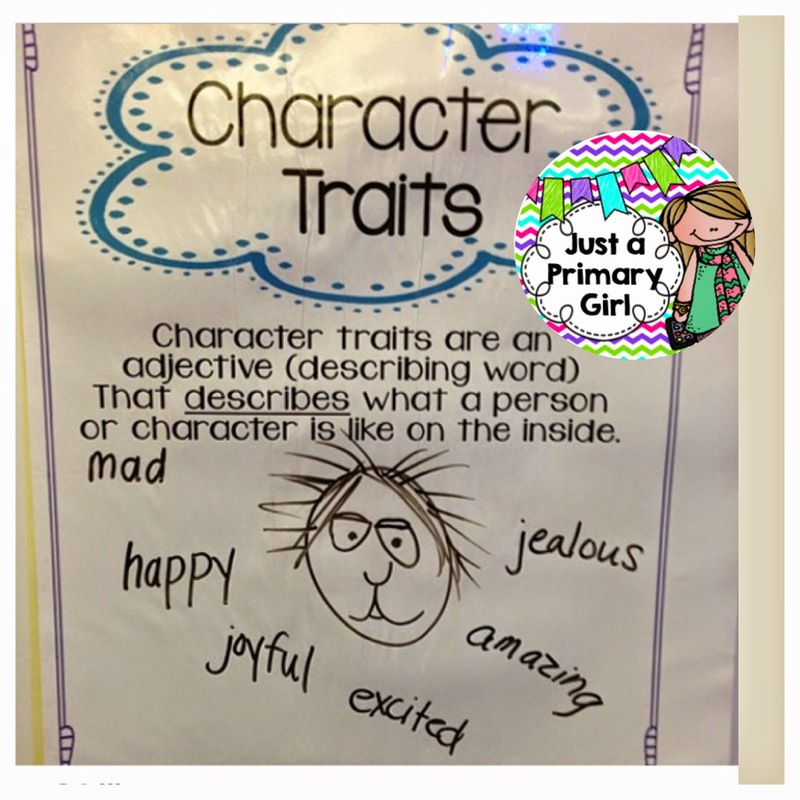 This is another freebie that I have in my store for Character Traits. 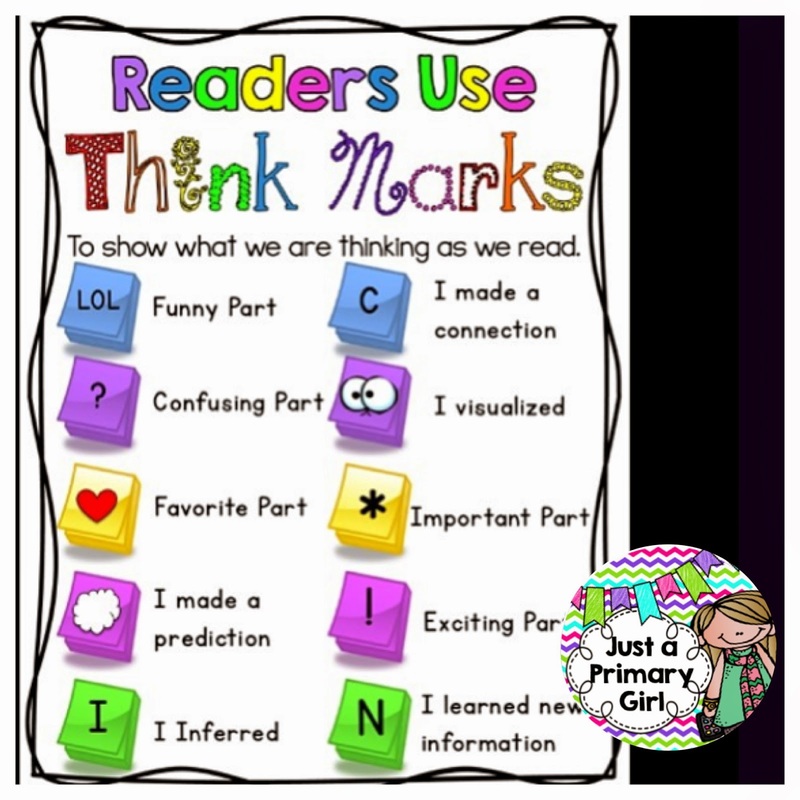 This is so hard for kids, so I try to use very obvious books at first then, we start to synthesize our thinking as they grow as readers. This is also blown up for my actual teaching of this concept and we have a sorting activity that we do. You can laminate and write right over this. I sometimes put it into a PDF and blow it up on my promethian and we write on it. These are just a few of the posters that I put on the focus wall. 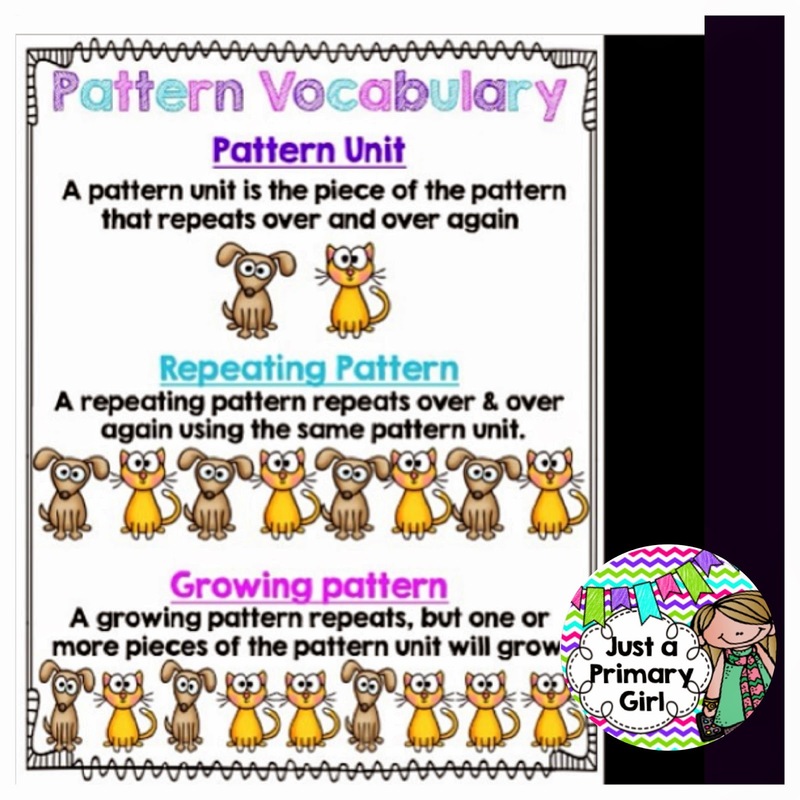 We study patterns in first grade and they need to know the actual wording of them instead of ABC, AABB etc, so I made this chart for the focus wall. Click on the picture for the freebie. I find a lot of the focus wall posters or I make them. The graphing one was awesome that I found. I don't know the link but if you search freebie graphing it should show up. 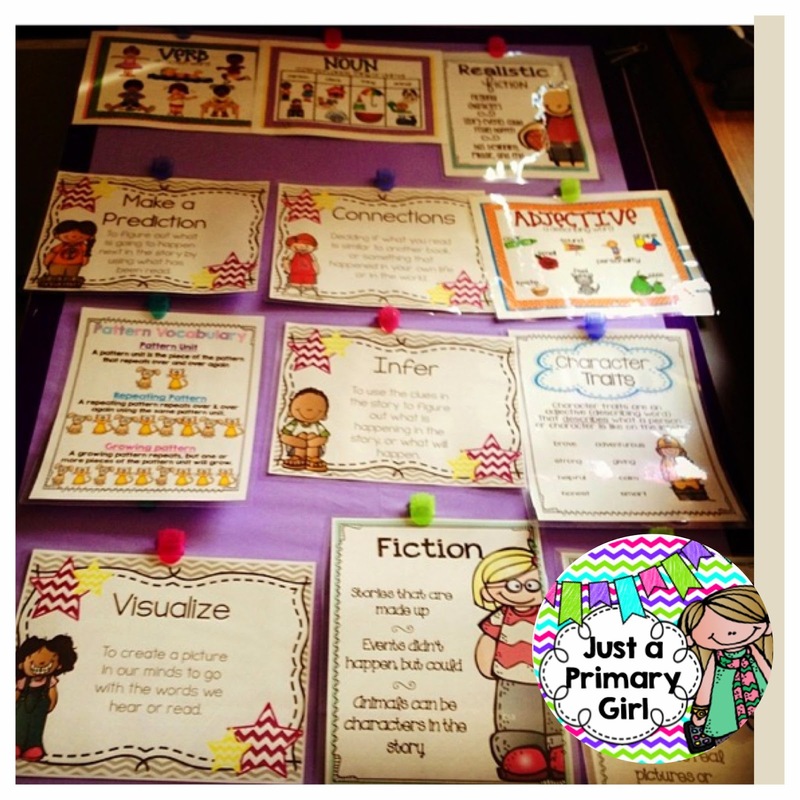 These are my comprehension strategy posters, Click to be taken to them as well. 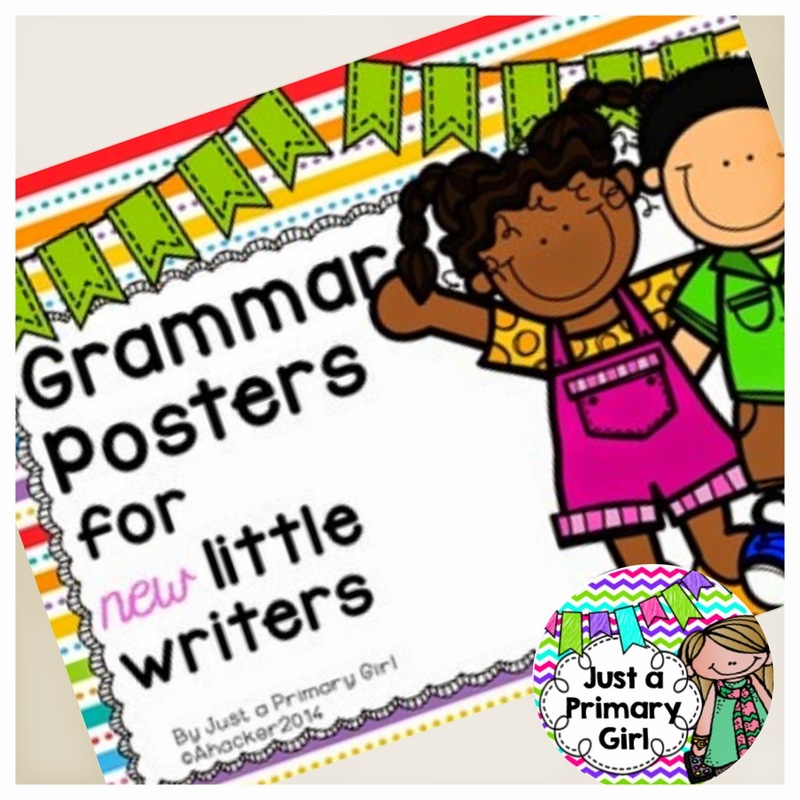 These are my Grammar Posters that I use on my focus wall. 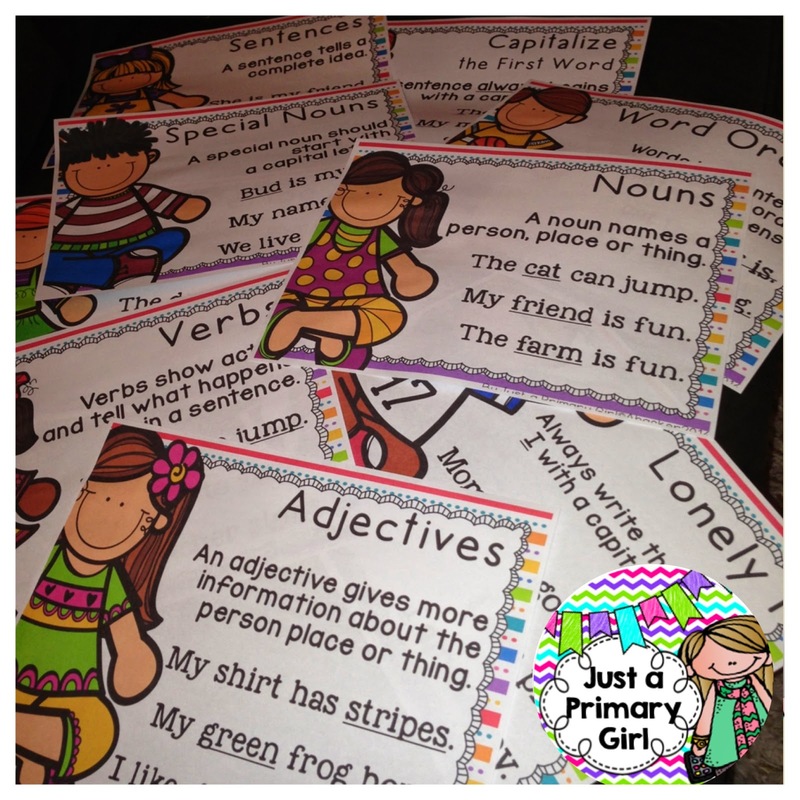 They very helpful when I am introducing each of our grammar units. 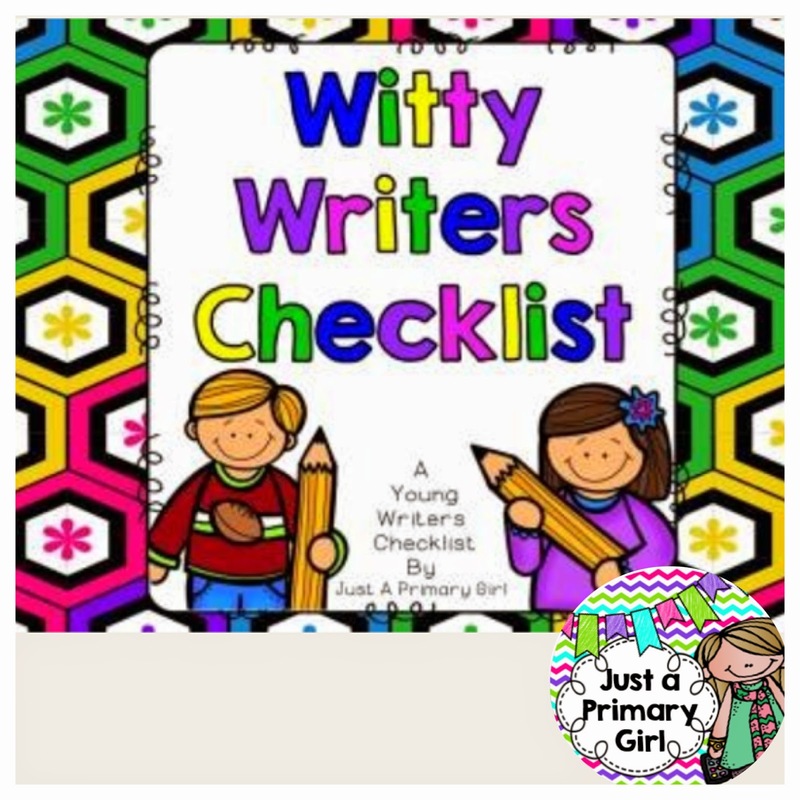 Lastly, this is my Witty Writer's checklist. This is also a freebie in my classroom. I post this up on my focus wall as well. Click on the picture for the freebie! The focus wall is an amazing idea - I love it! You can never review enough, that's for sure!